Bulldogs News · Oct 24 Senior Night/Pink Out Game at Handley Field, Thursday October 25th 7:00 PM – Come out and support our Bulldogs!!! I have been thinking how to put this season into words and to say the least it has been an uphill battle the entire way. 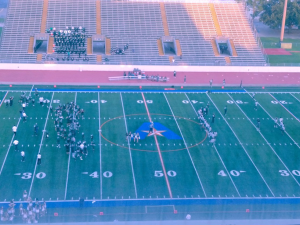 A couple weeks ago, for those boys who have been coming to practice and putting in the time they got a pre-game talk from a couple special guests and I think it got through. 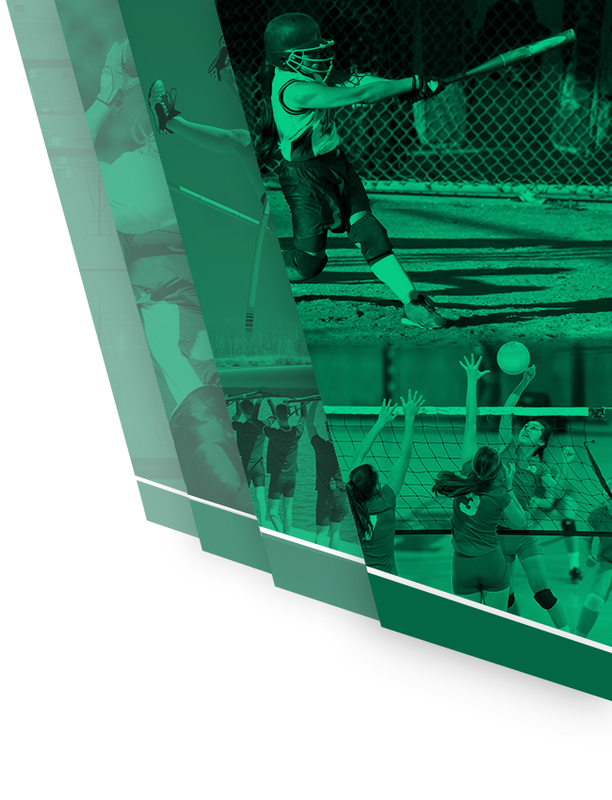 For those who haven’t kept up this past year, Trimble Tech was moved up to the 6A Classification due to our application process. 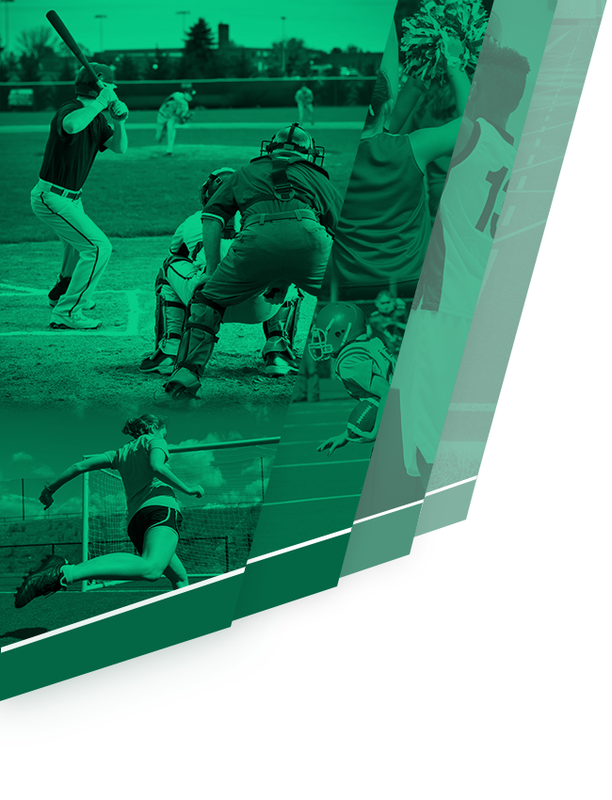 As per UIL rule, if you are an application based school you have to play at the highest classification in your district which for Fort Worth ISD is Paschal that plays at the 6A level. 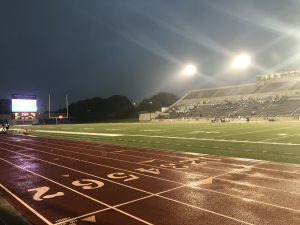 It was at that game against Paschal, our homecoming, that happened to be a rainy affair that also happened to be the same weekend as the Alliance Air Show. 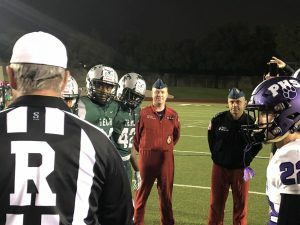 Due to the rain our guest couldn’t get up in the air that day so we had a couple pilots from the Canadian Snowbirds come talk to both teams and watched some Texas football in the rain. 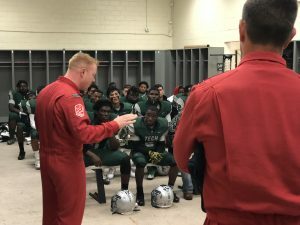 Before the game, two of the Snowbirds came into the locker room and talked to the Bulldogs. They opened up with “Do yall know about the Blue Angels? We are just like them but we talk just a little bit different, Aye?!? !” They got into the amount of practice it takes doing things over and over again and the hours they put in the cockpit. They also stressed the importance of each person of a team doing their part and trusting in the other person next to them will do theirs. Without that trust, things will fall apart and in their case lives are on the line. They correlated that to the field and how it can’t be a blame game and you are part of a team you have to support one another. After the talk, the Snowbirds were the honorary captains and came out for the coin flip. 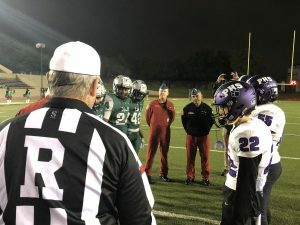 Trimble Tech did not win the game but I truly believe it was a turning point of the season after listening to the Snowbirds talk about blind trust of your teammates. The Bulldogs played with a bit more intensity and got up a bit quicker after getting knocked down. The Snowbirds stayed even through the rain and watched a good bit of the football game. 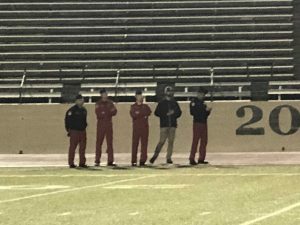 The Bulldogs would truly like to thank the Canadian Snowbirds for the time and coming to talk to them prior to the game and as that was their last air show of the season wish the a restful offseason. 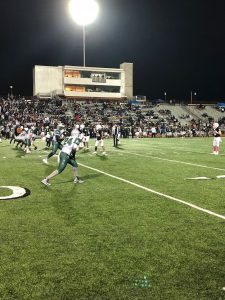 Last week they faced yet another team that outnumbered them on their sidelines 60+ to about 25 players on the Tech sideline with about nine or ten going on offense and defense. With the score 55-0 with time running out, the Bulldogs had the ball as the clock was running down in the fourth quarter. As time was running out, quarterback Izziah Yvanez with a group of blockers in front of him headed for the end zone and got to the end zone taking several big hits as time expired. Final score was 55-6 but until the end they did not give up and kept fighting as they did against Paschal and all the games which they have been massively outnumbered and often outsized. 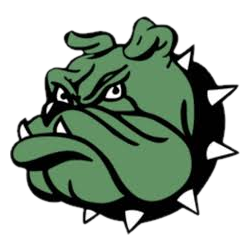 The Bulldogs will be taking on Arlington Martin in their last home game of the season at Handley Field Thursday, October 25th, at 7:00 PM. This game is also Senior Night as well as our Pink Out game. We are asking anybody and everybody come out and support our Bulldogs cheering them on as they will be on the road the final two games of the season. 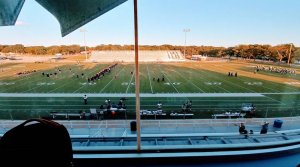 Friday November 2nd, they will be at Panther Stadium as they take on North Crowley and the final game of the season will be at Arlington Sam Houston Friday November 9th. So please put on as much PINK as you can and come out and cheer on our Bulldogs as they take on Arlington Martin this Thursday night.